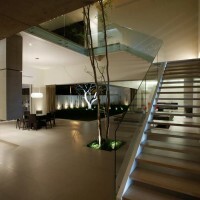 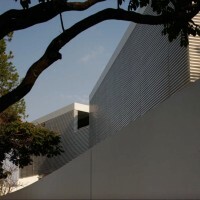 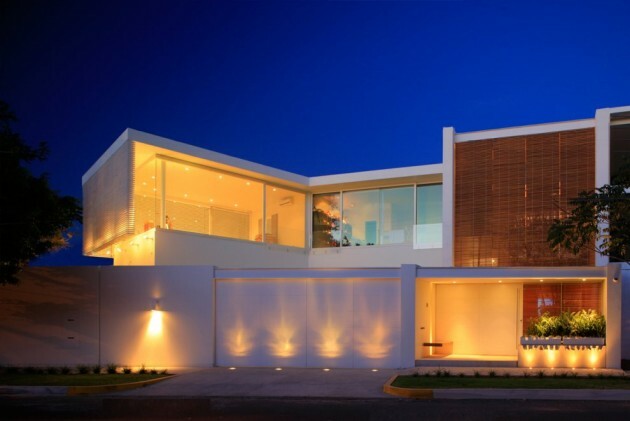 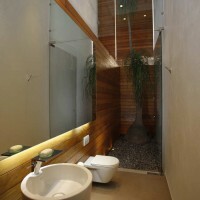 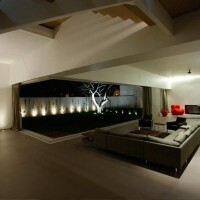 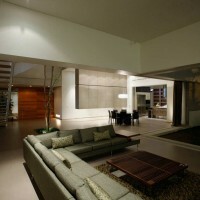 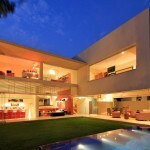 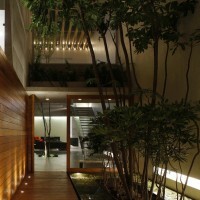 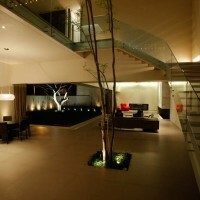 Hernandez Silva Architects designed the Lucke Orozco house in Guadalajara, Mexico. 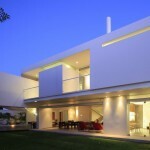 The house is located in one of the oldest residential colonies in Guadalajara, it is almost the only sheered area of a city that is mostly leveled, and this allows the place to receive good winds and to accomplish a great view from the second level at the nor-west of the city. 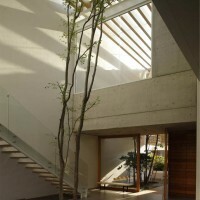 The irregular shape of the space generates a sharp corner surrounded by the great foliage of trees that are already located on the sidewalk. 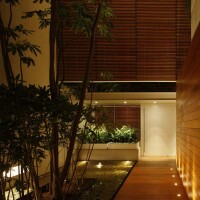 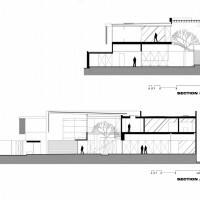 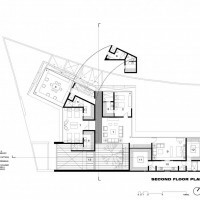 The scheme is defined in perspective by two very evident brackets where one embraces the front and the other embraces the garden, the union of both generates a void that tops in the heart of the house with an internal large myrtle tree. 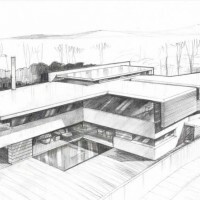 The house was designed with high, generous and continuing spaces, there are no obstacles in sight, and the structure of the house is forged by tall beams that border the non supported spaces which allow the continuity of the view all the way to the background. 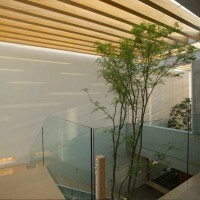 When touring the house the gardens which accompany the visitor interweave all the way through, the first of which is a great high, generous and transparent greenhouse that surrounds an extended garden of lush vegetation that rises up to 30 feet high and creates a cool and calmed atmosphere. 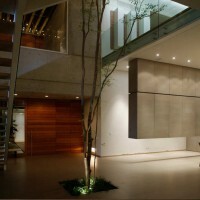 In order to achieve a powerful formal concept, the use of the materials is almost even in all the areas, wood extends from the floor to walls and doors, ceramic floor with perfect interior finishing covers the entire surface, the volumes that stand out are a powerful and well defined spaces, in particular the raw concrete fireplace that gives strength to the big open living and the other which is a great hanging wall that divides spaces and fusions as part of the whole. 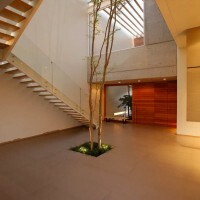 Guadalajara has an extraordinary weather, even though its sometimes hot, the house’s terraces are almost always peaceful all year round, the lush vegetation is always in the gardens, so the house in its social areas opens as a large terrace, the windows are stored and exterior and interior integrates as one. 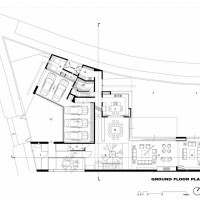 The house is jealous of its privacy, so it has a double circulation where you can flow freely through private spaces, while separating common and personnel areas. 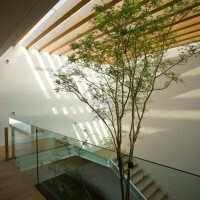 A special lattice was designed to the west side for the second level, which allows horizontal rays of sunlight and great view at the same time, the lattice is forged in two pieces that were previously glazed in advance with automotive paint, which are in addition, forming a hanging box so they do not allow any water access. 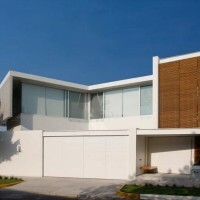 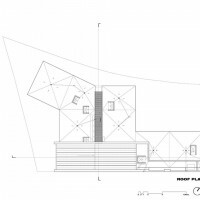 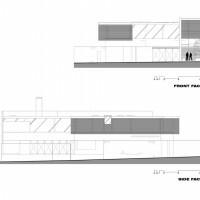 We can resume that the house is born of the two brackets that when joined a monolithic, concise and dynamic volume is formed, where the site’s characteristics as well as the transparent and depth tours are always perceived and enjoyed. 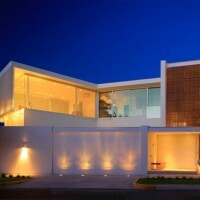 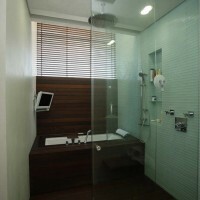 Visit the Hernandez Silva Architects website – here.